I’m a musician from the East Midlands, UK. Despite the fact that I am training as a classical violinist (and of course I love classical music), I’m really passionate about music in its many forms and genres. I love to listen to anything and everything from jazz to reggae, motown to indie, fusion to soul. Another thing that I’m really passionate about it is the idea that music is for everyone. I know it sounds really cliché however it is true. The accessibility of classical music is concerning as there doesn’t seem to be very much importance placed on music education. Additionally, a major concern is the lack of diversity in both music education and the professional industry. I want to get rid of the many negative preconceptions about classical music especially and I’d like to see more young people of diverse backgrounds both ethnically and socially go to classical music concerts and just generally engage more with classic music. Education and information is what I want to achieve for myself and share it with others! Music has always been in my life but actually wanting to be a violinist was more something that I stumbled across after deciding that I liked it. Having started violin lessons properly at the relatively late age of 11, the last few years of my life have been a rollercoaster ride through discovering music. 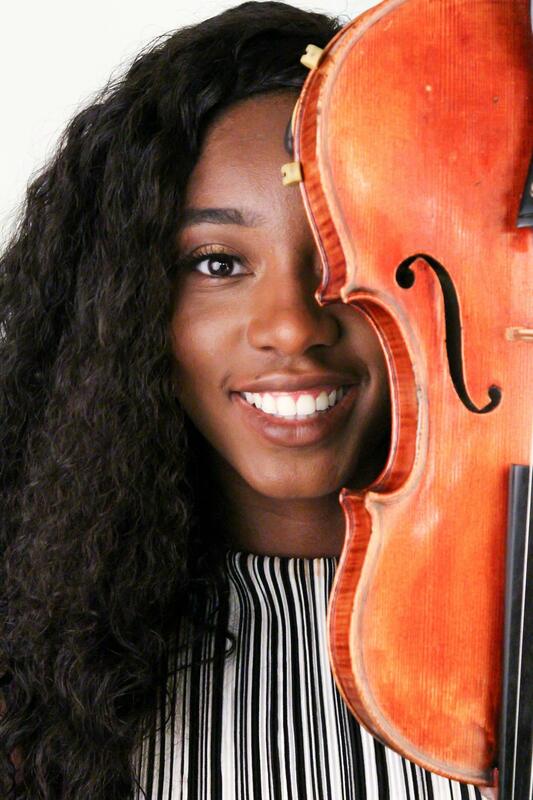 Between starting violin lessons and now, I’ve been involved in music in many different domains from gigging to open mic nights to going on two European tours with the Nottingham Youth Orchestra. In some of the orchestras I’ve been involved in I’ve been conducted by some fantastic conductors: Stephen Bell, Colin Metters Alexander Walker, Sir Richard Armstrong and Barry Wordsworth. I’ve been fortunate enough to have brilliant and supportive teachers that have helped to achieve great things in quite short time frames. Some include: Anna McGuire, Ting Chiu, Trevor Booth, Dawn Price, Alda Dizdari and I now study with Susanne Stanzeleit. At 16, I was awarded a scholarship to study at the Purcell School for Young Musicians. Purcell really broadened my mind and enabled me to make immense progress both personally and musically. Having the opportunity to study at a specialist school was a truly amazing time and I’m proud to be able to call myself a “Purcellian”.